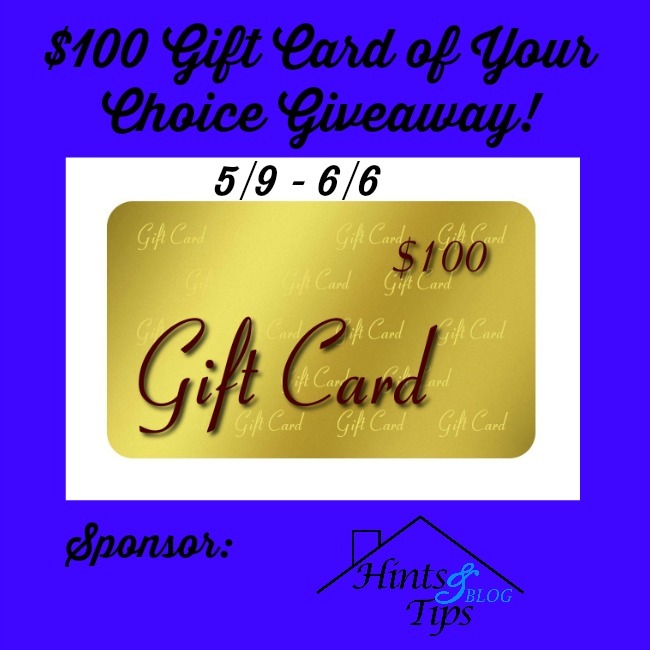 Enter for a chance to win the $100 Gift Card of Your Choice Giveaway! All of these co-hosts love bringing you the best giveaways! Be sure to show them a little support by visiting their page, checking it out and maybe bookmarking it and visiting often. Without everyone’s help we wouldn’t have such awesome giveaways! Keep in mind when you are entering that the sponsors give us more and better giveaways based on our stats. So like, follow, subscribe and help us get our numbers up there so we can provide the best giveaways! Prize: One winner will receive the $100 gift card of their choice as long as it can be ordered on the internet and delivered via email. Read the rules under the giveaway widget before entering. The Giveaway Tool is how you will enter and it will randomly select a winner. The winning entry will be verified. All entries are optional, and the chance of winning depends on the number of entries. No purchase necessary, void where prohibited. By entering this giveaway you are agreeing to have your name listed as the winner on the giveaway widget and winner’s list of participating blogs. The winners name will be posted on the widget and also here. In the case of any malfunction of the Giveaway Tool the giveaway will be cancelled and no prize awarded. Winner is responsible for any applicable taxes. Disclaimer: Hints and Tips Blog is responsible for prize fulfillment. None of the participating bloggers were compensated or are responsible for the prize. None of the social media platforms are affiliated with this giveaway. If you would like to sponsor a giveaway like this, email pr@hintsandtipsblog.com. Be sure to enter all of the other giveaways on this blog. The pinterest follow drop down isnt working for me! If I won I would choose Amazon gift card because Amazon sells almost everything and you can usually get free shipping!